A quick update on how it’s all going with the taper at t-minus 9 days. Somewhat surreal is the answer! Last week was a weird one as we were skiing so I was totally detached from the whole thing – we were doing some moderately physical activity every day although nothing like the 13/15/17/20 mile runs I’d been doing in previous weeks; however the fact that we were busy and active every day kept the “maranoia” at bay. Back into it this week with a fast 3 mile earlier in the week and today a 7 mile run / 3 mile walk-run combo (link here – note Garmin battery fail at the 7 mile mark so the finish line is at an odd place!) and feeling great right now. So I’m very much ready for next week – not really nervous and definitely not apprehensive, just can’t wait to be there! The training really has paid off and 0-20 miles over a period of 7-8 months has been the way to do this. Sponsorship wise, we are SO close to target now – over £2.5K with gift aid for this unique and dedicated Autism charity is not to be sneezed at but I KNOW we can smash this target and beyond. Thank you so much to all the sponsors so far – and if you haven’t sponsored me, please do, it would really mean a lot for this amazing amazing charity and it would be fantastic to go into the Marathon knowing I’ve hit the target. Link here: SPONSOR ME!! Thanks everyone for reading and for all your support – it really means a lot on this journey. Peace, love and happy Easter. Firstly, thanks to all of you who have sponsored me in the past couple of weeks – your kind generousity has taken me 3/4 of the way to my target and I’m extremely grateful. You’ve seen in previous posts what an amazing charity we are all working for here and I’m happy and confident that every pound earned is going to a good cause. If you haven’t sponsored me yet, please do so here – it would really spur me on during the marathon knowing that I’ve hit my target! Talking of the Marathon… I’ve now hit the taper! For those of you who don’t know (I didn’t until I started this crazy scheme) the taper is a wonderful invention that comes at the end of a very cold, dark period of training and allows the trainee to recuperate, rest a little, allowing the muscles and the mind to heal and get strong again. And man, do I need to heal. Sunday was the biggest run that I’ll do for this marathon: 19.5 recorded miles, but with warm up and warm down I hit the 20 miles required for training peak. This was a very lovely 20 miles, I have to say. I had dropped Max off at Legoland where he was having fun with a friend then I parked in the centre of Windsor and embarked upon my big journey. 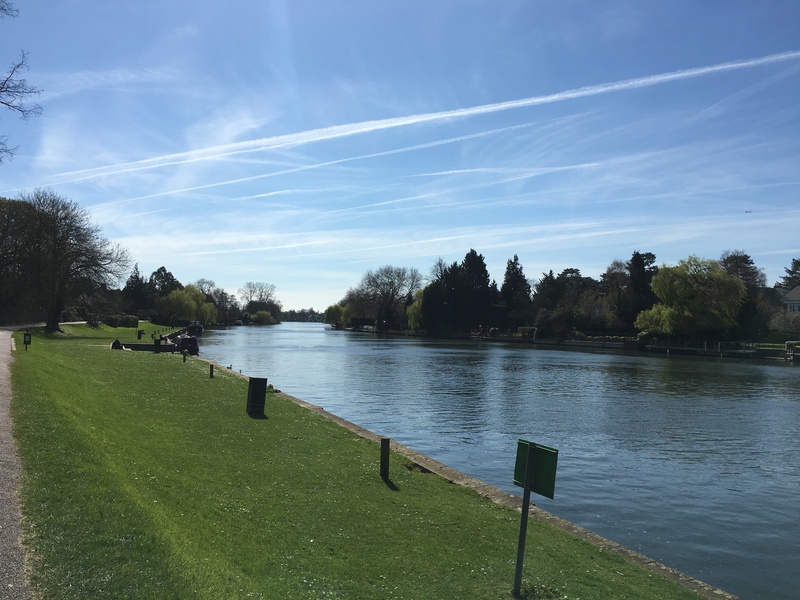 So long the river I plodded from Windsor up to Taplow past Bray and up to Maidenhead. All lovely areas with multi-million pound houses nestling smugly alongside the riverbank – many nice sights and lots of nature to behold. The sun was shining, the river was glistening and after 13 miles, my left knee was screaming. Note to self: get this checked out PDQ. On the way back a brief stop at a petrol station in Maidenhead for lucozade and chocolate then off I staggered for the journey back. All in all a super slow time – I’m probably looking at a 6 hour marathon – but 20 miles is 20 miles (and nearly 45,000 steps according to my Garmin). And that makes 82.3 miles run in the past 4 weeks – plus over 13,000 calories burned (why have I not evaporated yet?). So back to this tapering malarkey – yes, oh yes, a great invention indeed! I now get to reduce my miles significantly – tapering from 20 miles downwards over the next few weeks where I’ll be doing some short 4/5/10 mile runs in the weeks running up to the event. Deep joy. And that event is a mere 25-ish days away. Am I looking forward to it? Yes I really am! The darkest days are over now – Sundays have been a total write-off for the 4-6 weeks for example, consisting of a run of up to 4 hours, a journey home, a little basking in the endorphin rush that running brings, a hot shower, some moping around in pain, some snoozing, some staggering around trying to achieve some sort of normality while one’s body just wants to shut down then, finally, collapsing into bed early. A couple of days of recovery (at work) the I’m off again for a couple of weekday morning runs before Sunday comes around again. So the fact that I’m at the top of the mountain looking down is a good feeling – and as daunting as the 26 miles is, I’ve trained for it, I know it won’t be pretty but I know I’ll get through it…somehow. The other thing: ironically, I feel the marathon training is actually now getting in the way of me getting healthy. Sounds weird but this journey has sort of taught me where I have been going wrong for 43 years in terms of health and exercise. But being knackered all the time due to marathon training now prevents me from doing decent moderate runs and eating healthily – I look forward to getting things back to a sensible level; everything in moderation as they say. A quick update from the training and fundraising camp on this rainy Sunday. Last Sunday was our big team meeting at the HQ of Ambitious About Autism, the Treehouse School in Muswell Hill; a really uplifting and interesting event. Some of our co-members of the Team Ambitious marathon team were there and we got to share our stories – what a very inspiring and friendly bunch. From the guy (like me) who has a Son with Autism to the guy who works at the Treehouse college to a Special Needs teacher who is a multi-marathon runner to the very polite and friendly young man who has Autism himself and, like the rest of us, wants to give something back. Everyone had a story, everyone had some sort of connection with Autism and I commend the Ambitious team in choosing a really great bunch of people all of whom are extremely committed to the cause- we are all in touch on Facebook now which means another support group which helps. Secondly – we got to meet some of the amazing and massively dedicated staff members who not only have a huge pride in their organisation but were giving up their Sunday to corral us bunch around the school on their day off. We thank them for a lovely tour and for being so engaging and enthusiastic with us. Onto the tour – Treehouse School is a purpose-built school for kids with ASD; indeed the school has been designed with input from the children and experts alike and it shows. The school is light and airy with high ceilings and well laid-out rooms and corridors and despite being a Sunday one could feel a real energy in the place. There is obvious input from the business and local community – Arsenal FC have some real presence in the place as do Capital Radio to name a couple of supporting organisations, both of them contributing to special therapeutic and business tuition areas. The school also has a strong patronage with prominent figures such as Nick Hornby and John Bercow being involved as parents and supporters. The interesting thing is that as well as supporting mainstream academic subjects, there is a strong emphasis on giving the children life skills with facilities dedicated to cookery, business, art and science – students have shops, business enterprises and cafes that they run on and off-site. Above all, a very very strong endorsement that I chose the right charity to run the 26 miles for – and now I am even more grateful that they chose me. Learn more about Ambitious About Autism here and don’t forget to sponsor me here – with 7 weeks to go I am only 36% towards my target so need all the help I can get…..PLEASE! (but a big THANKS to all my sponsors so far!). 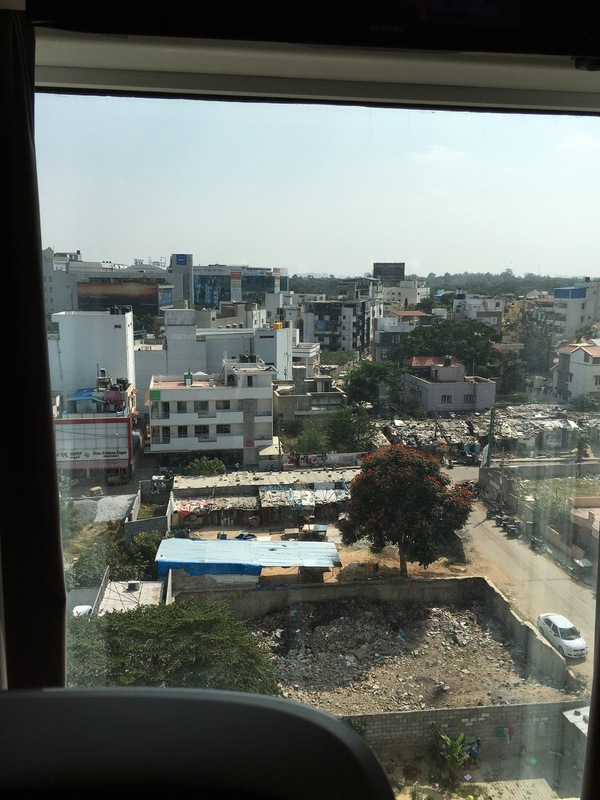 What to say…. 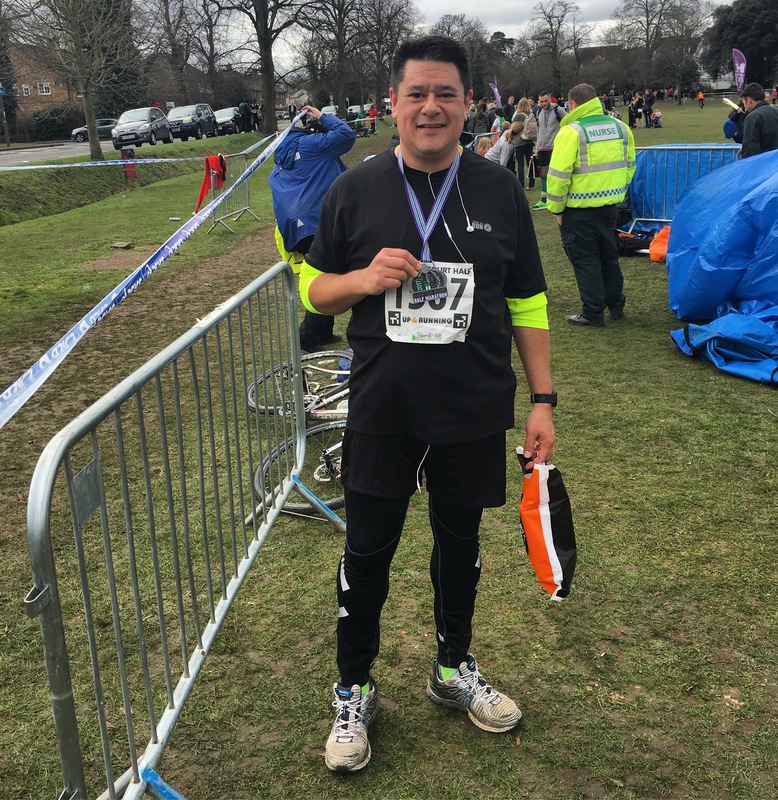 well it’s definitely getting tougher 🙂 Following the Hampton Court Half Marathon on the 22nd Feb I did the right thing and did a few easy runs this past week (well, a couple of easy runs and a very rain-sodden, muddy, dung-ridden cross-country 5 miles). However back into the long runs with a bang today with a long, slow 15 mile run from Risborough to Thame and back. Managed to dodge the rain but I know I’m gonna ache in the morning. Going well but I need to up the pace as right now I’m looking at a 6 hour marathon; although I said I wasn’t going for time, I’d like to do sub-5.5 hours if I can. On the other hand, with midweek runs that’s about 85 miles in the next few weeks… Easy eh… Hmm. Peace and love – until next time. A very quick training update as things have moved on a bit in the couple of weeks since my last entry. I’m now on my second 10 mile run; this evening I feel the warm ache of the legs after a plod up and down the Phoenix trail earlier today. Confession time: today should have been an 11 mile effort but a late night (early morning) at a friend’s birthday party (only one beer but it got refilled a few times) put me out of synch. We reap what we sow – and I can’t do that any more in the coming weeks; regardless I still improved on last week’s 10 mile run so not too bad. Despite a dodgy start to the year (see previous blog) I’ve run 51.6 miles (83.04 KM) in the past 4 weeks so that’s quite nice. 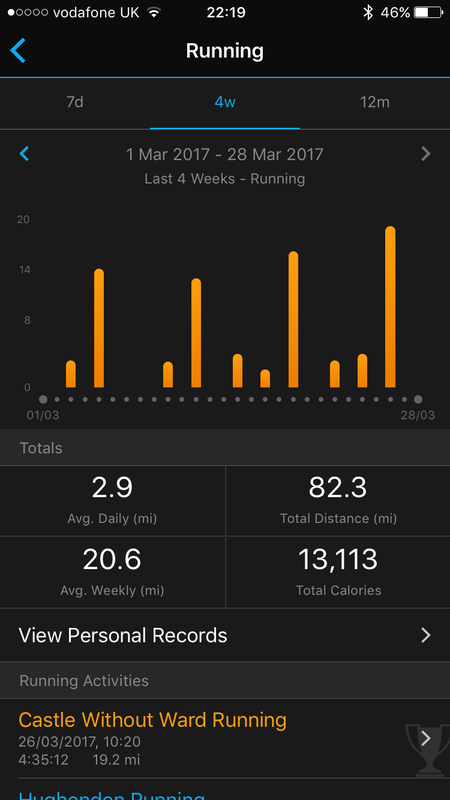 I’m now ramping up 10% (ish) a week on the long runs and so next week 11.5 miles, the following week will be the Hampton Court Half Marathon which I’m very much ready for and looking forward to. This ramp up continues until tapering in April (thankfully when we will be away skiing). I’m doing some smaller filler runs in week – and getting some reasonable increasing PBs on 5K runs now, although I probably should be running a bit longer in the week but time is a constant enemy! 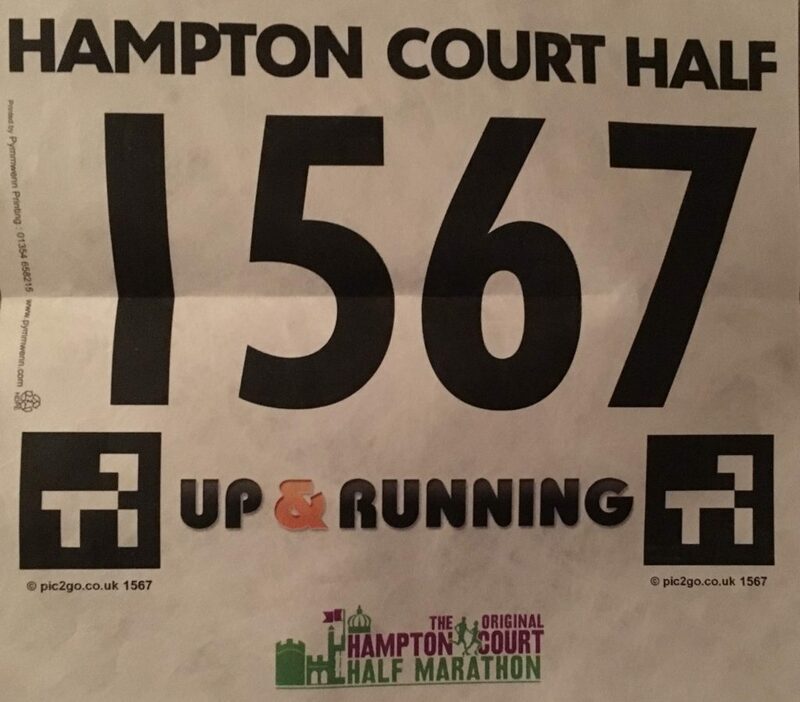 Race number and chip etc through for Hampton court – so it’s really happening! On the downside, I have a niggling ache in one of my toes which could be a metatarsal stress fracture (common running thing due to bad gait). I hope hope hope it’s just a bruise and will be watching it closely. So mostly all good. A few of you have been asking where to sponsor me – here is the sponsor link. Many many thanks to those of you who have sponsored me (including a couple of random anonymous people – amazing!). Learn more about the very excellent charity Ambitious About Autism who I’m running for here. Firstly wishing you all a happy and prosperous 2017 – and I really hope you all had a good Christmas! A nice 5 miler with Mrs F on boxing day. A couple of smaller 3Mi filler runs. I’m fully on track with both the half-marathon training plan and, importantly, the full marathon plan which is good. N.B. you’ll notice that I have moved into thinking in miles – an important change in thinking / estimating / planning when training for the 26.2 mile race. It’s still taking a while to get over the fact that I am not running 5K runs or indeed 14K runs any more – but it’s important in terms of the ultimate goal and helps to keep things in perspective. Get the holistic balance spot-on: food, carb levels, protein intake, fluids, sleep etc all contribute hugely to the balance. Basically a bit less alcohol and dead animals accompanied by cheese and carbs won’t go amiss. This will lead to ongoing weight loss and an easier run (one hopes…). 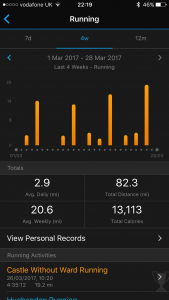 More of the same in terms of running, keeping the plan going, upping the distances over the coming weeks – if you’re interested, you can monitor my progress on Strava here: https://www.strava.com/athletes/17886589. Final thought: I get asked a lot if I’m enjoying this journey and the answer is, largely, a big yes. We’ve all been to Disneyland or Legoland or Thorpe Park; I don’t recall seeing people at those places with smiles of perpetual ecstasy on their faces despite having spent potentially thousands of pounds and having travelled hundreds or even thousands of miles to get there. Indeed, I recall at one point thinking, whilst walking around Disneyworld in Florida, how hot, miserable, flustered and generally downhearted people looked as they queued hours for a ride that would last minutes. However as humans we filter this all out and we remember the golden moments – and now I remember that trip as nothing but joyous. Running is a bit like this. I drag my carcass out of bed when it’s -3 degrees, dark and frosty. I pull on my running clothes, have a protein shake and get in my car to drive somewhere that actually allows me to run more than a mile without having to climb stupid gradients. 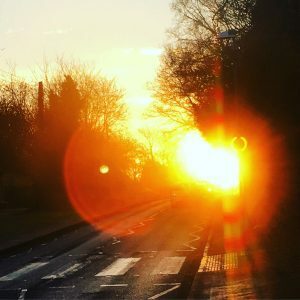 I get my iPhone cranked up, wait for the GPS to kick in on my Garmin watch, start plodding along the footpath – and it’s normally at this point I think “this is pretty much the armpit of life…”. However, within 20 minutes, I am warmed up, I have found my pace, it’s getting light, the music (carefully selected) is flowing nicely. I’m drifting in and out of deep thought, planning the day, enjoying the music, enjoying the cold air on my face as the dawn starts to creep over the horizon, I’m smelling the fields and the air, I’m almost at one with nature. It’s at these times I have had moments of epiphany – where the road almost floats beneath my feet and I can forget where I am, where the miles just melt away. Within another 20 minutes, I may have finished and I’m basking in the warmth of the endorphins and the feeling of accomplishment at another few miles under my feet towards the ultimate goal; and at this point I’m happy that my watch is synching and my run is being shared on Strava for all to see. This is why I can safely say, yes, I am enjoying the journey and can’t see a time when I won’t be doing this.